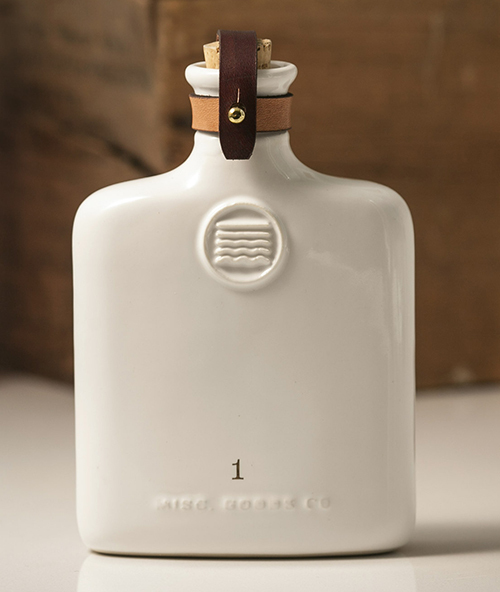 I don't currently have a flask, but after seeing this beautifully designed, ceramic version made by Tyler Deeb of Louisville, Kentucky, I want one. Tyler began his company, MGCO, after a hugely successful Kickstarter campaign. He started with designing a deck of playing cards and has grown his collection to include this cool flask, a coffee chiller and some other fun accessories. See it all, here.